A Beautiful Blue Rose in a Presentation Box. This looks brilliant and is a popular choice. 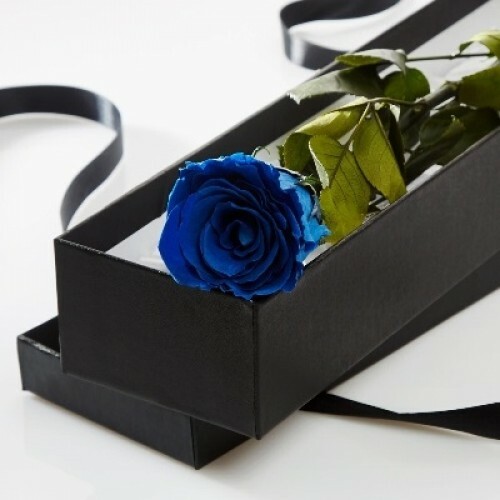 It will arrive sealed in A luxury satin lined box, in a small water tube for freshness and sitting pretty ready for opening, this is a great product and shows off the blue roses spectacularly.